Application: Turning and Milling tools for roughing and finishing work, wood working tools, highly stressed cold work tools, tool bits. 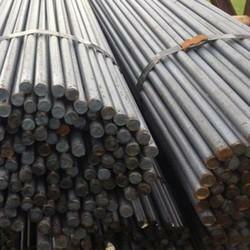 We manufacture round bars which fulfil the needs and requirements of many industries. You can avail them in different thickness and dimensions. The standard diameter of these bars is 3.17 mm to 350 mm. We are offering round bars in different variety such as copper alloy wire rods, steel round bars, copper alloy round bars. We supply HSS (High Speed Steel) in various grades like M1, M2, M34, M42, M47 etc T1, T2, T4, T5, T, 15 etc in shapes like Rods, Flats, Sheets, Patta, wires etc in various sizes. 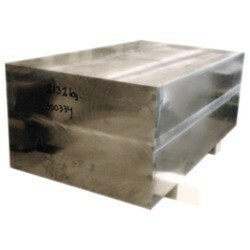 We are traders and suppliers of wide range of High Speed Steels. These High Speed Steels are available in various grades and sizes as per the specifications of clients. We follow international industry standards to check High Speed Steel on various parameters and offer our clients wide range. It is a high performance steel with high hardness and good wear resistance properties.It is often used as a cutting tool as it can cut metal at very high rate than any other carbon tool steel due to presence of tungsten and cobalt that gives it much higher strength.